I have so many blog posts I want to write. I have a huge list of books I want to write. I have craft projects I desperately want to dive into. I have online classes to create. I have books I want to read, movies I want to see, projects I want to work on, friends I want to visit, places I want to explore, and so much I want to discover. It’s overwhelming. Just my to-do list alone is a mind map of madness. Just picking one thing and getting it done is difficult. The only reason I’m getting this blog post written is because it’s nearly midnight and I’m doing the 30 day blog challenge and I want to win it! But otherwise, choosing a task, then seeing it through, is overwhelming. What to choose first? I often ending up choosing the easy stuff, the fun stuff, but that doesn’t always really get me anywhere. 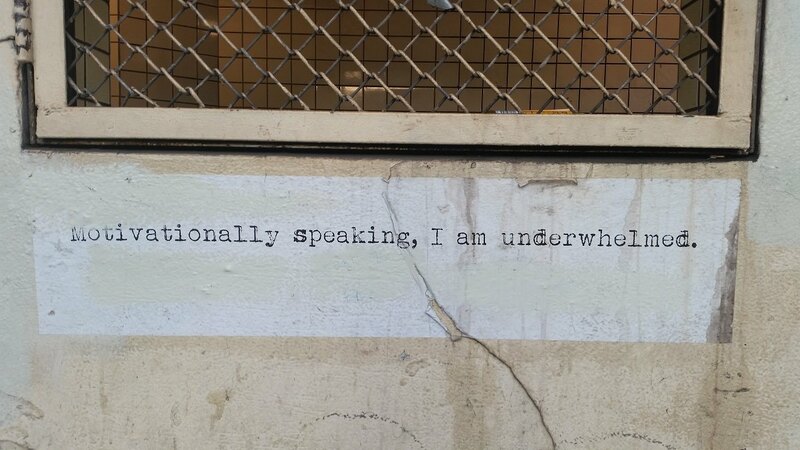 Right now, that is exactly where I am. As overwhelmed as I am with what I want to do, I am equally as underwhelmed with the motivation to do it! It’s not because I’m not doing things I love, because I am. It’s not because I don’t want to do these things, because I do. But sometimes, I just want to stay in bed and do absolutely nothing, because I haven’t got the oomph to give anything my all. But despite being an adult who could actually stay in bed all day and no one would tell me off or tell me I couldn’t, I instead get up and keep going, keep chipping away at the endless to-do list, and getting stuff done. But sometimes, a period of non-action and non-doing is exactly what is needed. To retreat from the world, go within, and have a deep rest. Without feeling guilty or lazy! I often wait until I am ill or injured before I allow myself to chill out and relax, and it’s quite ridiculous. In fact, I trapped a nerve in my back yesterday, and was in a lot of pain. Did I stop? Nope! It’s been better today, but incredibly sore, but I still haven’t stopped. Even with little motivation to get things done, I haven’t stopped. I have no idea what the point of this blog post is, not really sure where I got the idea that every blog post had to have a point, actually. I guess I just wanted to say, if you feel overwhelmed by everything you need to do, and underwhelmed with the motivation to do it – you’re not alone. Cut yourself some slack. If you want to stay in bed for a day, go ahead and do it! Don’t wait until you’re hurting or ill to allow yourself to rest. On that note, time to sleep. Yesterday, I found myself with a day to do whatever I wanted in London. 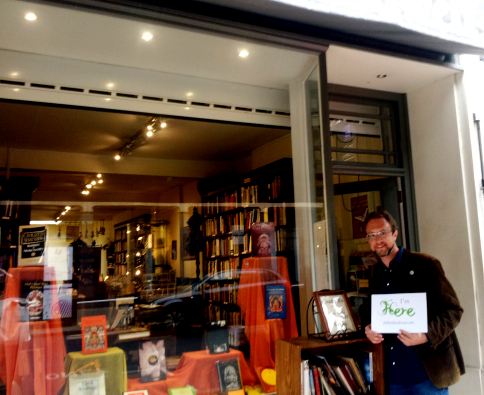 My original plans had fallen through, so I decided to do a tour of esoteric bookshops and other shops around the Covent Garden/Tottenham Court Rd area. I got the tube there, and despite the downpour, managed to stay relatively dry as I wandered around. First port of call was Watkins, where I had a lovely chat with the manager about stocking my books there, once the new print versions are ready. Then outside, I watched a Harry Potter tour group as they made magic… Cecil St is meant to have been the street that inspired Diagon Alley. My next port of call was a shop called Silver Moon, which had magically disappeared… unless it is like Grimmauld Place, and only appears when the secret keeper gives you the password. In any case, I moved on to Mysteries, and had a lovely chat with a lady working there whose mission is to become an actress in spiritual movies. We chatted for a while about books and publishing, and I will be contacting the manager to see about stocking my books there too. I knew when I found Mysteries online, that I needed to visit, as the address is 9-11 Monmouth Street. I still see the numbers 911 every single day, and have done since 2008. (But that’s another story) and of course my nearest town at home is Monmouth… Very glad I listened to the signs and paid a visit. Then I moved onto to the Atlantis Bookshop, which was sadly closed (I guess it was a bank holiday yesterday). It looked great, I will have to visit again. I briefly popped into the Astrology Shop, but it was so busy I didn’t stay too long. Then I moved onto Treadwell’s Bookshop, which is the home to many interesting books on Paganism and mythical lore. It definitely reminded me of a shop in Diagon Alley, and for the atmosphere alone I would recommend it. I didn’t see any fiction sections, but while making a purchase I decided to enquire about the possibility of stocking books there. The lady said they wouldn’t be interested, as fiction doesn’t sell well in their store, but a guy who was browsing at the time asked what I wrote. We started chatting and decided to get a drink in a lovely deli a few doors down. It turned out that Clint, who is a writer and publisher from California, had also just done the same tour of shops that I had just done. So we were bound to cross paths at some point during the afternoon! We chatted for over an hour, about books and publishing and faeries and gnomes. Clint is the publisher of a rather delightful book called ‘Goblinproofing One’s Chicken Coop. And other practical advice in our campaign against the Fairy Kingdom’. It looks fantastic, and when we get more chickens, it will be a must-read I’m certain! It felt quite serendipitous, meeting Clint and having such a great conversation, especially seeing as I had only decided to do the little tour of bookshops at 11am yesterday morning. After a Californian hug goodbye, I headed back towards the tube station. On the way, I stopped by a supermarket to get some food to make up some food bags, which I distributed to some delightful homeless men on my way to the coach station. I also found a new home for the umbrella I received as a thank you for signing up for the New York Times at the Mind Body Spirit Festival. All in all, it was a brilliant day, and I even made it to the coach station in plenty of time. I arrived home last night rather tired but happy! I do love a little serendipity. Have you had a serendipitous experience? I’d love to hear about it. I’m Here is going to Italy! 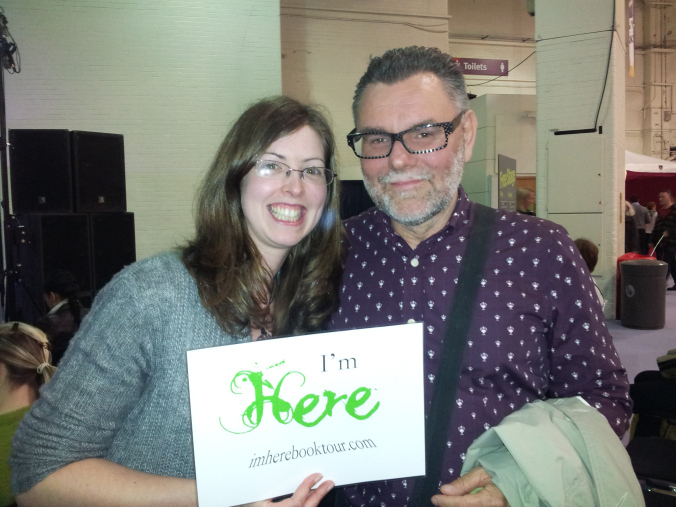 At the Mind Body Spirit Festival yesterday, I said hello to one of my favourite authors, John Parkin. His book – F**k It – was instrumental in helping me to write The Earth Angel Awakening (as you can tell from the first three lines!) I told him about the I’m Here Book Tour, and he said I could send some tour cards out to him in Italy, to give to people on their retreats. I’m Here with John Parkin, author of F**k It! So next week, when I get home from London, I will begin sending out the tour cards, so far I have people wanting to distribute them in Florida, Arkansas, Greece, Australia, and a few places in the UK. So if you would like to get involved in the tour, please do get in touch! 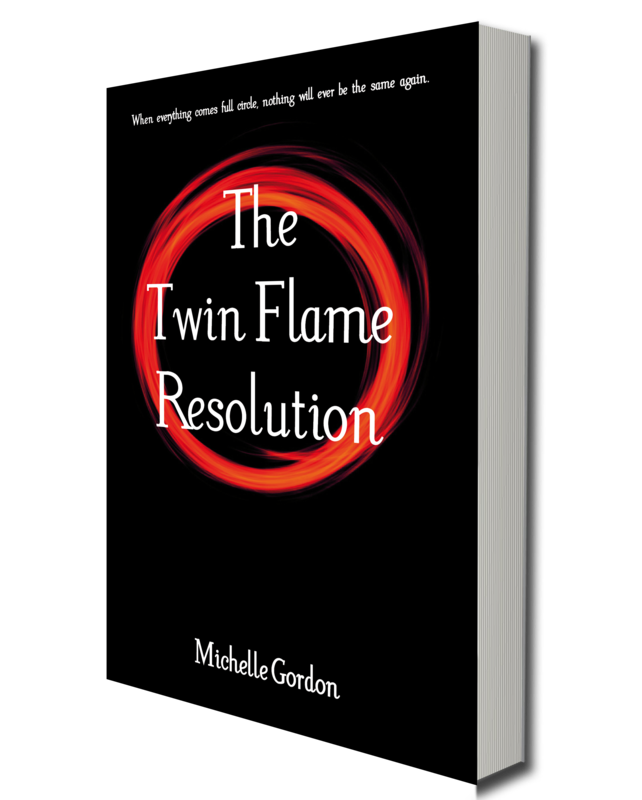 If you are at the Mind Body Spirit Festival this weekend, keep an eye out for me, I’ll be giving out free eBooks! The book tour is off to a great start, after giving out some of the free eBook cards out at Fiona Harrold’s Love and Money Salon last night, and then giving out many more at the Mind Body & Spirit Festival in Earl’s Court today. Met lots of old friends and made some new ones, you can see the photos in the Book Tour Gallery! 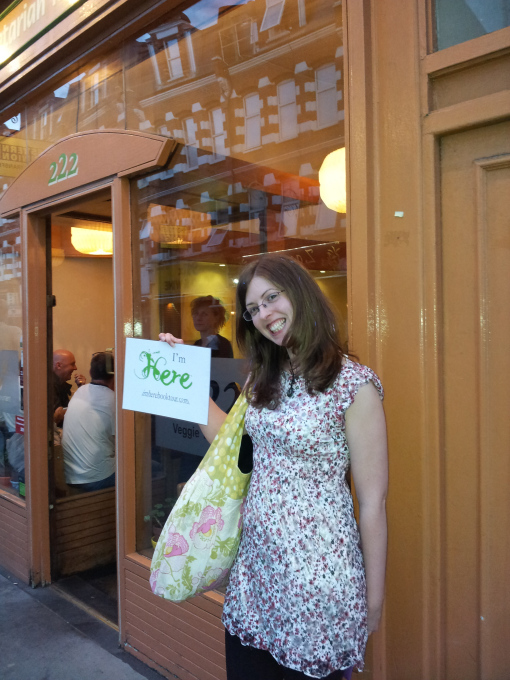 Then in the evening, Rebecca and I found a fabulous Vegan/Veggie Restaurant called 222. I put some cards in there for people to find and Rebecca also gave one to the couple next to us! The food was fantastic, would definitely recommend! 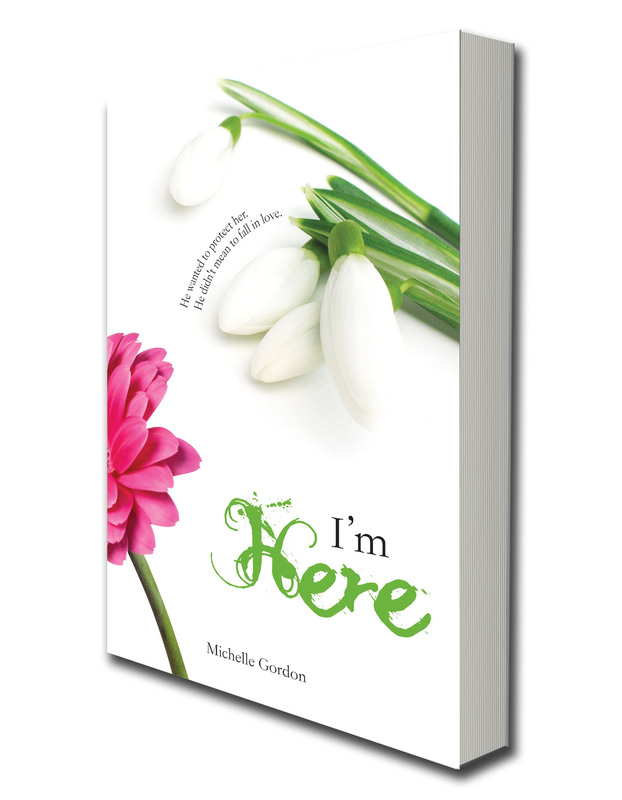 I’m Here will be officially be available to buy on Kindle (print is coming soon!) and the rest of the Visionary Collection, with their new covers, will also be available on Kindle by this Friday. I will be in London, for the Mind Body Spirit Festival in Earl’s Court, and I will begin giving out the free eBook cards! As you can tell from the exclamation marks, I am quite excited by this, I must admit, I didn’t think I’d get it all done in time. Remind me never again to try to publish four books, in print and on Kindle and orchestrate a never-tried-before world book tour/ giveaway, all at the same time! It’s all been good fun though, and it has forced me to learn so many more new things that I can show to my Indie Author clients. Once again, you can check out more information on the I’m Here Book Tour on the website, I’m happy to say that I have a few distributors already, but I would love lots more! So please, if you would like to get involved, then drop me an e-mail! I will be posting the first photos this weekend of the cards going out into the world! 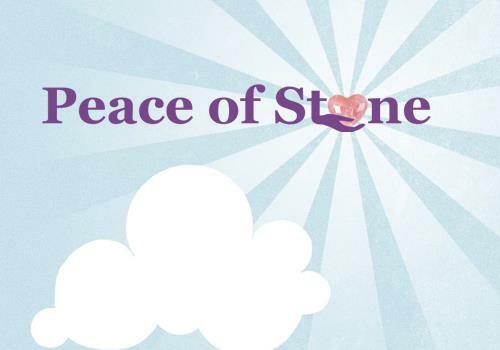 Also, a good friend of mine is in an event in Bristol this weekend, where she will be giving the cards out. It really is happening. *does a happy dance* Time to go finish packing! Leaving for London first thing in the morning. I think I might have to surprise random kindle readers on the tube with the free eBook cards. What do you think? 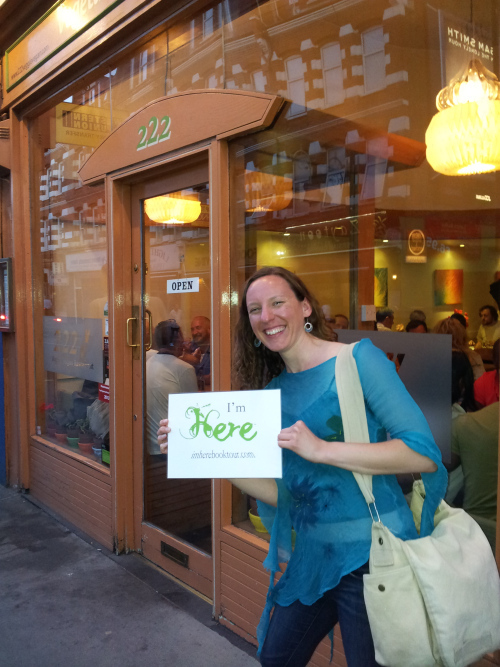 So very thankful for the amazing people who are supporting the I’m Here Book Tour! 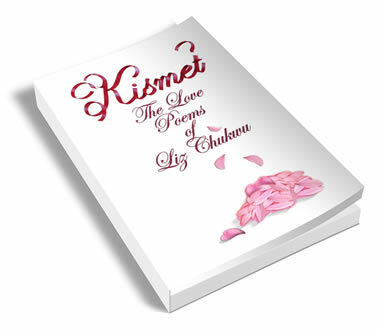 Liz Chukwu, author of Kismet. Liz is such a beautiful soul, and is always so encouraging and supportive. When I told her my idea for the book tour, she immediately offered to help make it a reality. Thank you so much, Liz. 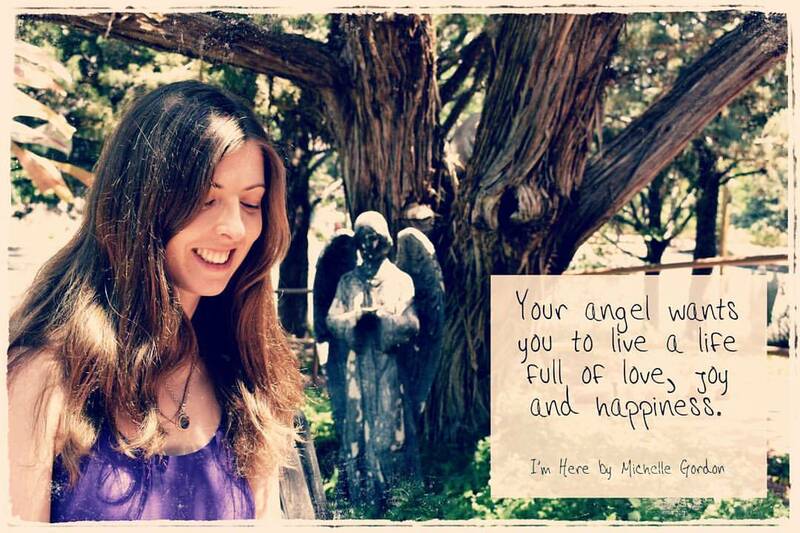 Book Tours and Reviews and Oracle Readings! It really has been a busy few weeks, and things seem set to continue in that way. This is just a short update, to mention a few things that have been happening. First of all, I had a lovely review posted by Tiffany Hathorn, who read and loved The Elphite. She also interviewed me for her blog the other week. It seems mad that many people have read and loved The Elphite, but I have so few reviews on Amazon (or anywhere) for it. I’m determined to remedy that, by doing some more marketing for it, a part of my Visionary Collection launch. And finally, in this short update, I would like to put a call out to anyone who would like to get involved in my book tour, because I have to say, I think it will be epic! 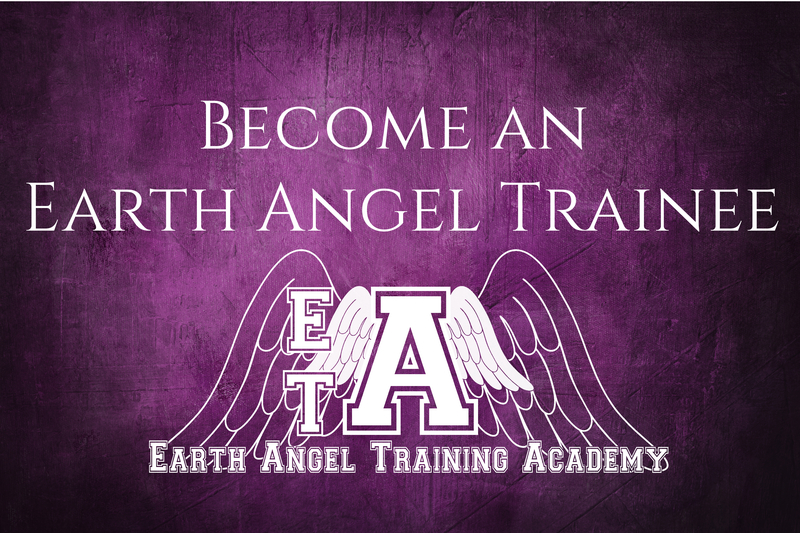 You can check out all of the details on the website. I will post another update soon! The Books have been released!